Harris Electrical Repairs was founded with one aim; to offer our customers honest and value-for-money service. 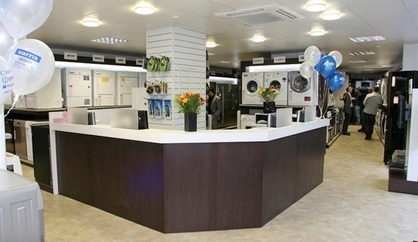 Our highly skilled appliance engineers offering professional fixed price repairs for all makes and models of washing machines in London and the surrounding areas. We evaluate all costumer feedback, which helps us to ensure we remain focused on the delivery of first class service. We charge £85 (diagnostic and repair) and this price is irrespective of the time spent or the number of visits needed to complete the repair. Some faults are found and solved within a single visits. So if more visits are needed, you don’t pay any extra. Our engineers carry a wide range of spares but please note that some parts are specific to the make and the model of the appliance and need to be specially ordered. The cost of spare parts if they are required is not included in our price. If beyond Economical Repair – Reduced to £48.00, If beyond economical repair but would like to replace: reduced to £36.00 + cost of new appliance, which you can select from a wide range from different manufacturer. will use this area to update our customers on what’s happening in the store as well as fantastic manufacturer offers.